Roy Lee Baker was born on August 30, 1954 in Aberdeen, Mississippi, son of Ezell and Eula Fuller Baker. Roy was one of eleven children. He lived in New Jersey since 1968. In 1978, he married Joann Garris. Roy was employed as a Forklift Driver at White Rose Company in Avenel, retiring in 2016. Previously, he was employed by Eddie R. Baker Company for EBCO Construction Company through the late 1970s and early 1980s. As a laborer, he was a great help to his brother’s company. He was an avid New York Mets fan. On Saturday, March 16, 2019, Roy Lee Baker departed this life at Ashbrook Care and Rehab Center in Scotch Plains at the age of sixty-four. 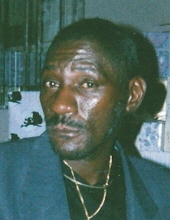 He was predeceased by his father, Ezell Baker; sister, Geneva Baker and brother, Ezell Baker, Jr.
Roy leaves to cherish precious memories, his wife, Joann Garris Baker; mother, Eula Baker; five stepchildren: Kenny Garris (Carol), Annie Garris (Michael), Gregory Garris, Jeffrey Garris and Tina Garris; six sisters: Narzell High, Earlean Wright, Annie Debose, Peggie Jones (Vincent), Shirley Baker and Geraldine Clark (Billy); two brothers: Eddie Baker (Cheryl) and Excell Baker (Beverly); and a host of nieces, nephews, dear relatives and friends. To send flowers or a remembrance gift to the family of Roy Lee Baker, please visit our Tribute Store. "Email Address" would like to share the life celebration of Roy Lee Baker. Click on the "link" to go to share a favorite memory or leave a condolence message for the family.